As the only government that interferes in the internal affairs of other countries is in Washington DC, Integrity Initiative sounds like an Anglo-American intelligence operation to interfere in the internal affairs of other countries while pretending to counter Russian propaganda operations to discredit Western democracy. Under the guise of “safeguarding democracy,” Integrity Initiative is more likely involved in overthrowing democracy, as in Venezuela. 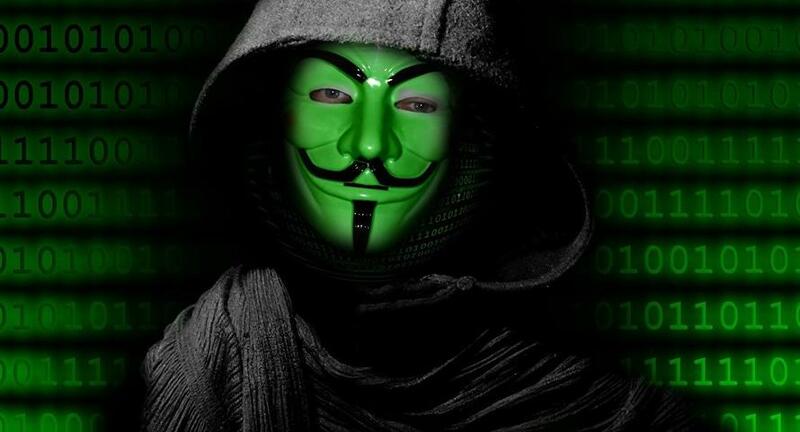 Documents were hacked or leaked that show Integrity Initiative to be funded by the UK Foreign and Commonwealth Office. Integrity Initiative has admitted this funding, but explains it as the British government’s recognition of the Russian threat to social harmony and democratic values in the West. “The Integrity Initiative is a partnership of several independent institutions led by The Institute for Statecraft. This international public programme was set up in 2015 to counter disinformation and other forms of malign influence being conducted by states and sub-state actors seeking to interfere in democratic processes and to undermine public confidence in national political institutions. 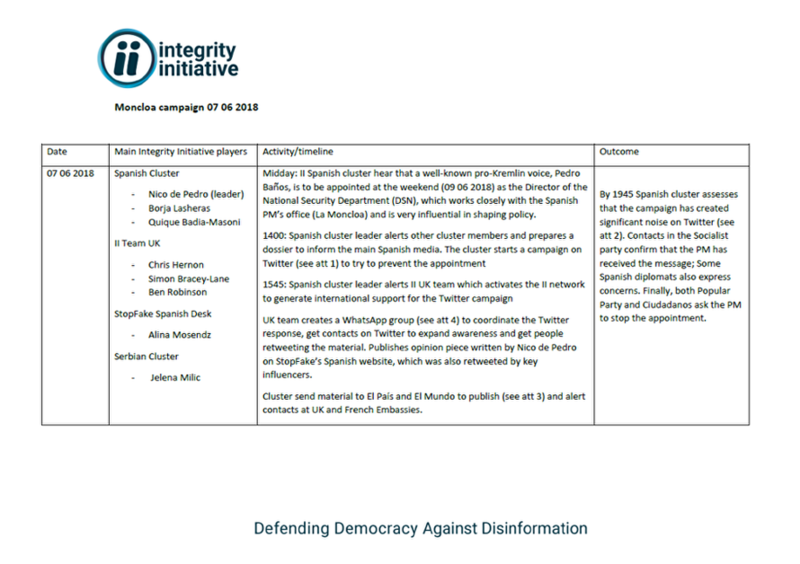 You will find details on the website (https://www.integrityinitiative.net/), and you can follow the programme on its Twitter account or on Facebook (both @InitIntegrity). The Institute for Statecraft is a not-for-profit charity dedicated to education in good governance and to enabling societies to adapt to a rapidly changing world. It conducts research, promotes models of best practice, runs programmes for societal development, and actively challenges threats to social harmony and democratic values. The Institute is financed primarily by grant support to its programmes. For its first two years, the Integrity Initiative was funded by private individuals. Funding for 2017 and 2018 was provided by a grant from the UK Foreign & Commonwealth Office (FCO). This reflects their appreciation of the importance of the threat, and a wish to support civil society programmes seeking to rebuild the ability of democratic societies to resist large scale, malicious disinformation and influence campaigns. The only allegation of Russian interference is the unsubstantiated “Russiagate” claim that Russia influenced the 2016 presidential election, but the Integrity Initiative was created in 2015 prior to any claims of Russian interference in Western elections. Many have concluded that the Integrity Initiative is a Western intelligence psy-op agency whose purpose is to maintain, and even worsen, the bad relations between the West and Russia. This conclusion is probably a safe one.